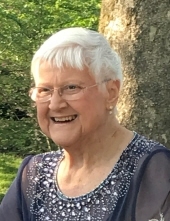 Carol L. Wall 73, of Mt. Zion, IL passed away at 6:40 a.m., Wednesday, April 3, 2019, in St. Mary’s Hospital, Decatur, IL. A service to celebrate Carol’s life will be held at 11:00 a.m., Monday, April 8, 2019, at Dawson & Wikoff Funeral Home, Mt. Zion. Burial will be in the Mt. Zion Township Cemetery. The family will receive friends for visitation beginning at 10:00 a.m. until service time. Memorials may be made to the Humane Society of Decatur and Macon County. Messages of condolence may be sent to the family at www.dawson-wikoff.com. Carol was born November 8, 1945, in Evanston, IL the daughter of Carl and June (McDonald) Funk. She married Carl W. Wall on September 19, 1964. She was an avid bridge player, skilled cook, and loving mother and wife. Surviving are her husband: Carl of Mt. Zion; son: William Wall (Jason Lewis) of St. Louis, MO; niece and adoptive daughter: Kim Grinestaff (Darcy) of Mt. Zion; brother: William R. Wagner (Kathy) of Beaverville, IL. Carol was preceded in death by her parents. "Email Address" would like to share the life celebration of Carol L Wall. Click on the "link" to go to share a favorite memory or leave a condolence message for the family.